Required third-year clerkships are available at the University of Tennessee Graduate School of Medicine (UTGSM). 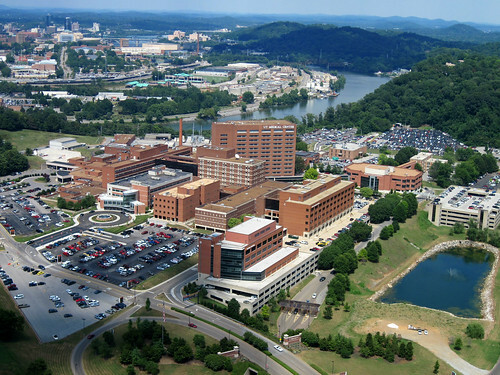 Students may complete their Internal Medicine, Family Medicine, Surgery, OB/GYN, Psychiatry and Neurology rotations in Knoxville. Much of the required third-year LCP program is also offered at UTGSM. Registration for Knoxville clerkships is included as part of the overall scheduling process at UT College of Medicine, Memphis. UTGSM clerkships are coded with the number 2 (for example, the course number to register for OB/GYN in Knoxville is OBG2-3001/F). While at the UTGSM, students receive complimentary meals (while on call), pagers, and parking. Students are also eligible for a VolCard with which they can access all facilities and programs of the main campus of the University of Tennessee, including athletic events. As soon as third-year registration is complete, students should contact Student Affairs in Knoxville to discuss housing options. "I cannot say enough about my third and fourth year experiences at UT Medical Center in Knoxville. The faculty are amazing - they have a genuine interest in teaching, and in students' success in medical school and beyond. The attendings, residents, nurses, and administrators all create an environment where students feel welcome and supported, which really impacts learning. 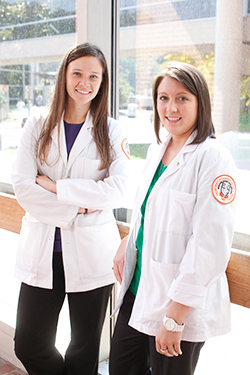 I am so happy I chose to do rotations in Knoxville, and would highly recommend rotating there to all UTHSC students."